David Vendetti je majitelem South Boston Yoga Studia. Jeho výuka je inspirovaná tím, že léta vyučoval gymnastiku, tanec, pilates a strukturální práci s tělem. David vyhrál dvakrát (2005 a 2011) cenu Best of Boston Yoga Teacher pro Boston Magazine a vede lekce a workshopy pro učitele jógy po celém světě už 15 let. 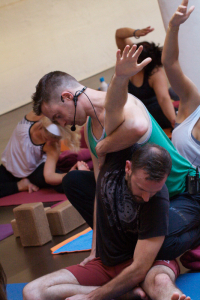 David Vendetti is the owner of South Boston Yoga Studio. 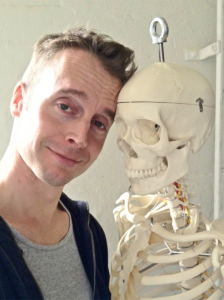 His teaching is inspired by his time as a gymnast, dancer, pilates instructor and structural bodyworker. David won both 2005 and 2011 Best for Boston Magazine and has been teaching yoga teacher trainings and workshops worldwide for the last 15 years.